mauilibrarian2 in Olinda: Our School's First Student International Google+ Hangout! Our School's First Student International Google+ Hangout! 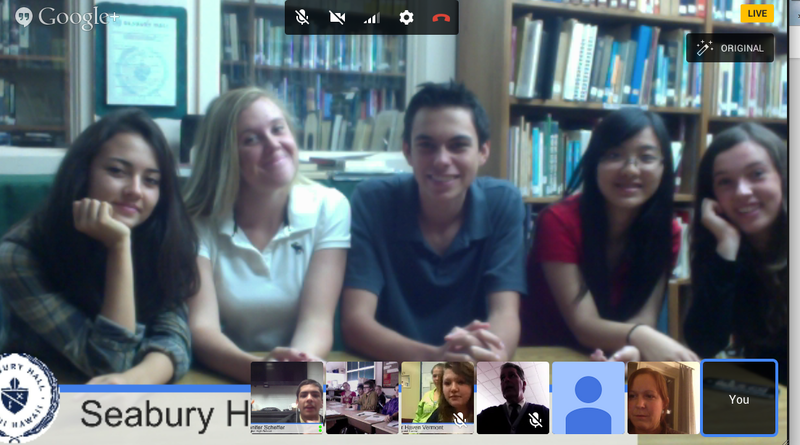 Five of our upper school students participated in a student-run international hangout on Thursday. It was an interesting experience! The topic of the hangout was Today's Learners. Our students held up their end of the conversation very well!